Activation — Digital Sports MGMT. Digital Sports Mgmt is a boutique agency based in London. With over 30 years experience in the Sports and Video Games industries, and having worked extensively with Rights Holders across World Football, DSM is uniquely placed to support your business via compelling Activation plans, content and relationships, our services extend to PR Communications and promotional staffing. Tom Henderson was the driving force behind EA SPORTS FIFA’s Global Club and League partnerships, where for over 6 years he activated deals with every major Club, League and Player in World Football, embedding EA SPORTS in the fabric of football via compelling content and fan engagement strategy. Having Co-founded Digital Sports Mgmt - Tom has more recently overseen activation of partnerships across a multitude of sports properties helping Brands maximise their ROI. Please see below for some of Digital Sports Mgmt’s recent Activation and PR Projects and successes. For all new business inquiries, please email us. Gett appointed DSM to activate it’s Sports Partnerships including it’s Surrey County Cricket Club T20 partnership, and it’s Wasps Rugby Partnership. DSM successfully completed activations at The Oval including implementing numerous digital activations including a Gett branded Snap Chat geo-filter, competition to win box tickets via social media and creating engaging Instagram content plus running a Gett Shuttle via promo staff at the matches. 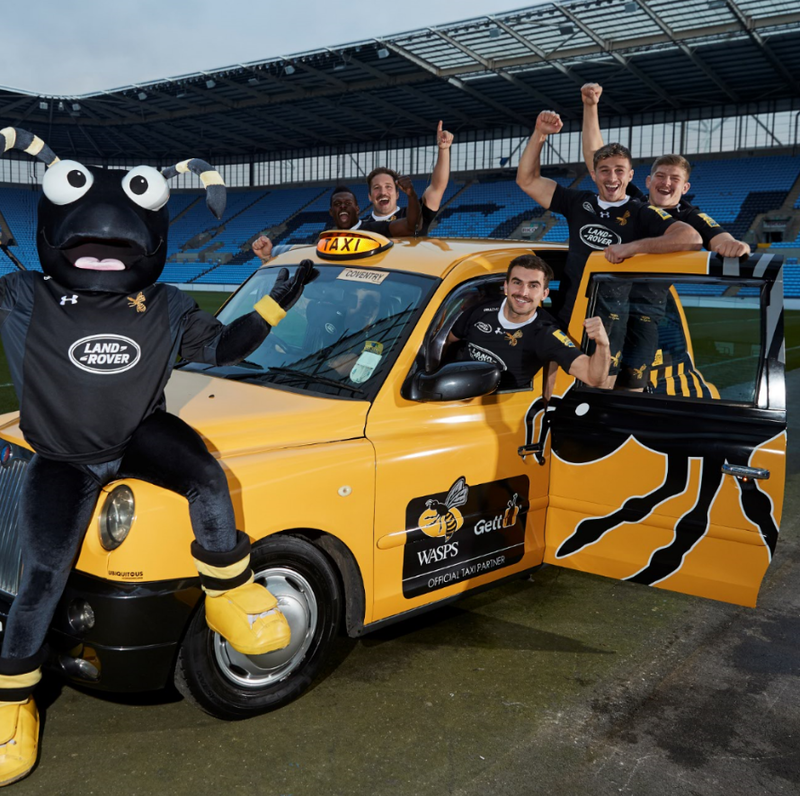 With Wasps, DSM created the full season activation plan and managed all rights of the deal, including Player Access, Staffing the stadium with promotional staff on match days, Static imagery in stadium, and running a fan engagement competitions to win tickets to matches via a Wasps branded Gett Taxi called the Queen Wasp. Read more about our work with Gett here. DSM provided PR support for Avery Dennison who signed a new Global 4 year contract with FC Barcelona to produce the names and numbers for the club exclusively. DSM coordinated all press releases and gained significant coverage for Avery Dennison across retail, trade and sports press. Working across multiple territories, DSM helped launch the partnership in English, Spanish and Portguese press including coverage in the US and Asia. DSM Partnered with XBOX UK and McCann London to manage all of the activation around their XBOX Live campaign with Manchester United’s Marcus Rashford and Chelsea FC’s Willian. DSM utilised it’s relationships with the Players and their agents to acquire all campaign approvals, liaise and manage all talent on the TV shoot, and plan and execute the social media requirements of the players once the content launched. DSM advised XBOX on maximising the rights in the deal and provided full reporting on all the social media output. You can watch the ad and read more about the campaign here.